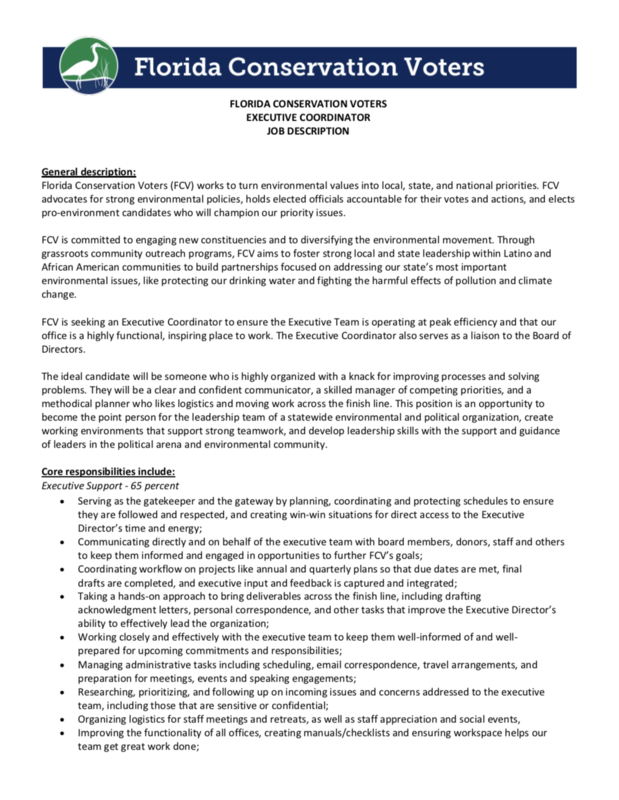 Florida Conservation Voters (FCV) works to turn environmental values into local, state, and national priorities. We advocate for strong environmental policies, hold elected officials accountable for their votes and actions, and elect pro-environment candidates who will champion our priority issues. We are committed to engaging new constituencies and to diversifying the environmental movement. Through grassroots community outreach programs, we aim to foster strong local and state leadership within Latino and African American communities and to build partnerships focused on addressing our state’s most important environmental issues, like protecting our drinking water and fighting the harmful effects of pollution and climate change. 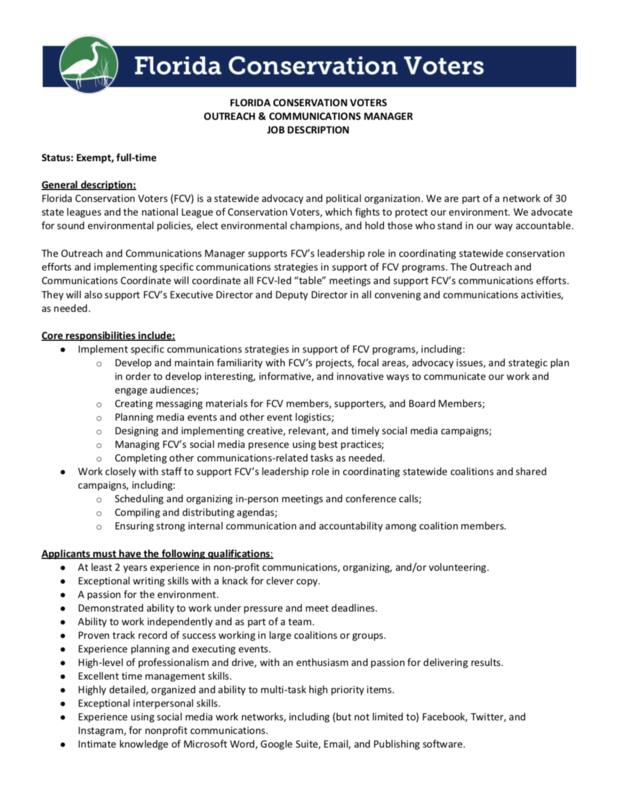 We're now hiring a full-time Outreach & Communications Manager and a part-time Executive Coordinator! Please see below for details. FCV is an Equal Opportunity Employer Committed to a Diverse, Inclusive, and Equitable Workplace.